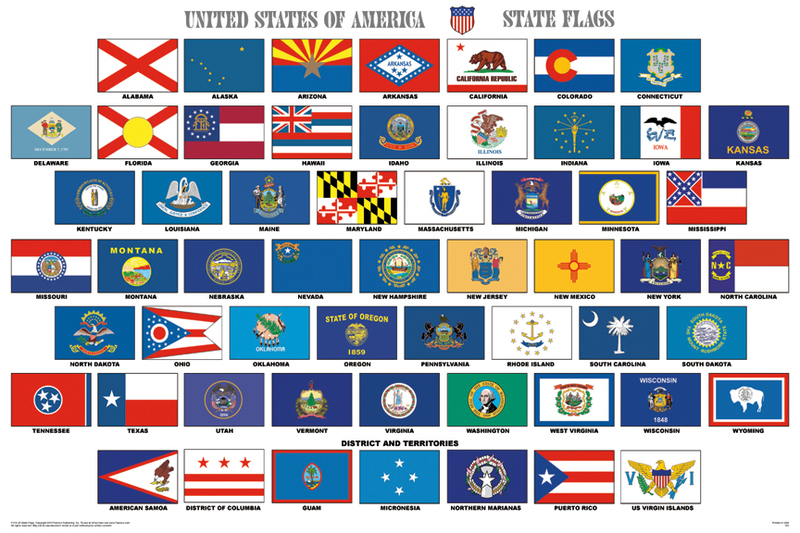 Each of the 50 states in the United States has its own flag. They exhibit a wide variety of regional influences and local histories, as well as widely different styles and designs. Modern state flags date from the 1890s when states wanted to have distinctive symbols at the 1893 World’s Columbian Exposition in Chicago. Most state flags were designed and adopted between 1893 and World War I. Several have since been changed. This poster shows the flags of all 50 states, the District of Columbia, and the American territories.